As the cost of fuel has increased, more and more drivers are looking at ways of cutting the costs of their everyday motoring – even with their holiday hire car. In a recent post, we looked at ways you can increase your fuel efficiency by making small changes to your driving style. Here we explore a few other ways you can keep fuel costs down by making your car a little more efficient. Powering the air conditioning is an extra burden for a car’s engine, effecting both fuel economy and engine performance. In the middle of a Malaga summer a cool, air conditioned vehicle can be a refuge from the heat, but if you can avoid switching it on, especially out of peak summer, early mornings and during the evening, some sources claim you can save up to 3% of fuel by keeping the air-con switched off. If you’re really uncomfortable you should only open windows and air vents when stationary or moving slowly. We’re not saying you should be wilting at the wheel, but the aerodynamic drag of an open window or sunroof on a car travelling above 80km/h can add to your fuel usage, as more energy (and therefore fuel) is required to keep your speed up. You can improve fuel economy by simply keeping your windows closed at higher speeds, and only opening them when still or moving slowly. Low cost airlines are not the only place where packing too much can cost you more than anticipated! 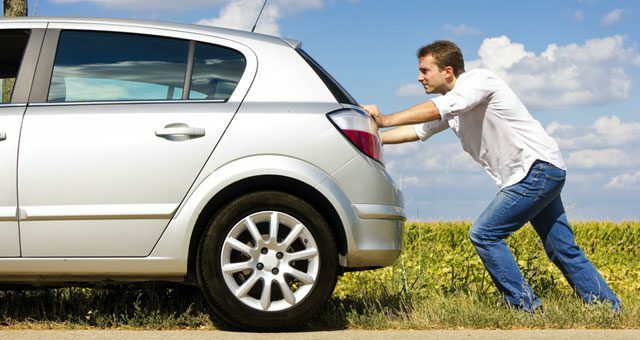 Carrying extra weight in your hire car means the more energy is needed to move it – resulting in higher fuel consumption. For every extra 50kg in the car (think two suitcases and a hand-luggage bag) your fuel consumption can increase by almost 2%, so theoretically, your journeys from the Malagacar office to your accommodation and back should be your most inefficient drives. If you’re out and about, travel light and you could save a little more on your fuel costs. When at home, most of us keep our cars well-maintained with regular servicing to keep it operating at peak efficiency. Dirty spark plugs and air filters, clogged fuel filters and dirty motor oil will all affect your fuel economy, with a well maintained engine saving up to 4%. Here at Malagacar.com, we have our own maintenance team who ensures each vehicle in our fleet meets our high standards for reliability, safety and security. You can drive your car away from our office safe in the knowledge that your holiday car rental has been fully checked and inspected to meet our stringent controls, and that we’ve already done our bit in terms of maintenance to ensure your car is as efficient as it can be. Do you have any fuel efficient driving tips you’d like to share? Please feel free to comment below.